We haven't had cable (TV) in over a year. For the most part I haven't missed it a bit. In fact, I have really enjoyed not having it. It's nice to be able to spend the evenings doing something more productive and mind provoking then vegging out in front of the tube (although I do enjoy that too). There are occasions however where not having TV makes me feel totally out of the loop. For example, I pretty much don't know anything that is going on in the world (which might not be a bad thing). I was also probably one of the few people that didn't watch the Royal Wedding or the season finally of Survivor. Anyways, while I was in the hospital having Maddie I was able to catch up on a few things going on in the world of cable TV. One of those things was the new(ish) TLC show called Extreme Couponing. 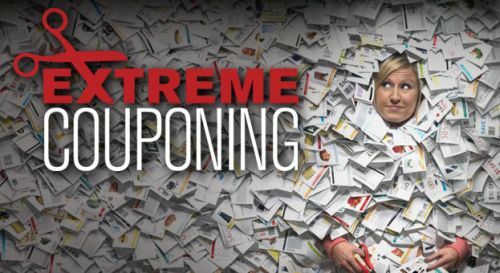 It is basically a show that follows people who take couponing to some pretty extreme measures. They spend hours and hours a week collecting and organizing coupons and then they take huge trips to the grocery store where they get hundreds and hundreds of dollars worth of stuff for free or next to nothing. On the episode I watched one lady got literally thousands of bottles of Propel Fitness water for free. A bit excessive for sure. I have no plans of becoming a crazy coupon lady but the show has definitely got me thinking about looking through the ads in the Sunday paper. What are your thoughts on couponing? Do you know of any good coupon resources (blogs, etc)? 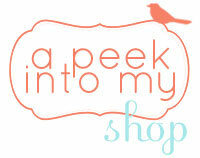 I have recently gotten into it as well, I have a binder on my blog but I am not really a coupon blog. I like hip2save, totally target, krazy coupon lady, southern savers, wild for wags,and usually if you find one- it will lead you to others. Enjoy! oh and ADORABLE baby by the way! I am no extreme couponer, I don't believe in couponing for things you will not use or things you will waste. BUT, I do save a bundle using coupons and I follow the guidance of the gals at fabulesslyfrugal. Give it a try. I find my best savings on non perishable toiletries. 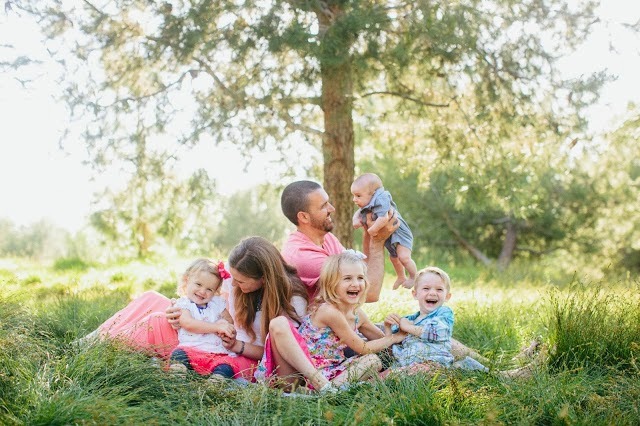 I like some of the high value coupons and deals on the freebies4moms blog. I have gotten several photo books for just the cost of shipping! Like coupon mania some are addicted at the custom essay writing service to get the custom essay papers for their academic purpose.